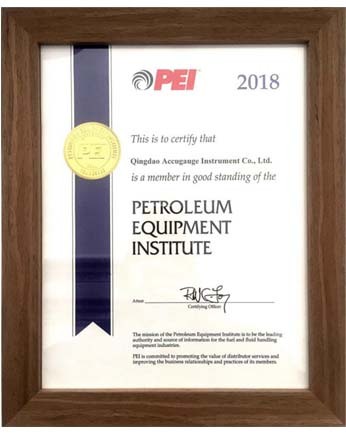 ACCU has been a member of Petroleum Equipment Institute(PEI) since September 2014, and we have renewed our membership for 2018. The Petroleum Equipment Institute is a trade association whose members manufacture, distribute， maintain petroleum marketing and liquid handling equipment. ACCU renewed the PEI member means our company can accept the latest information and recommended practices. ACCU will continue providing professional solutions for worldwide clients and contributing ourselves to petroleum industry.